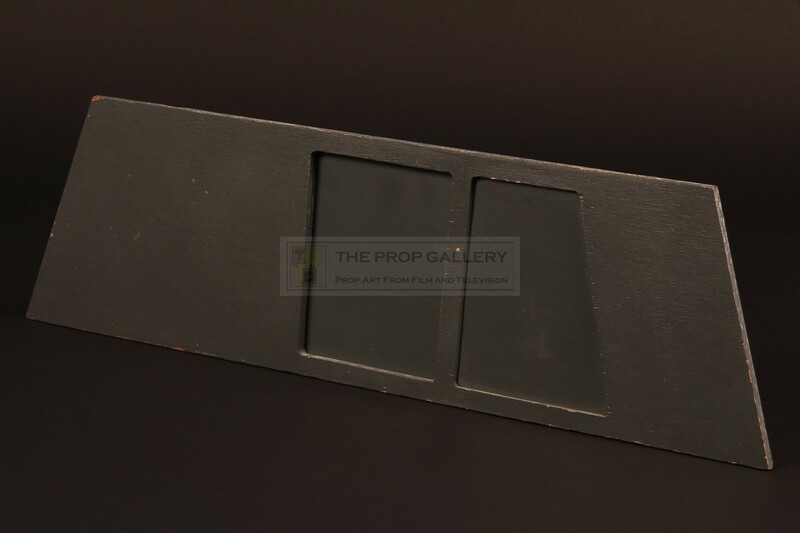 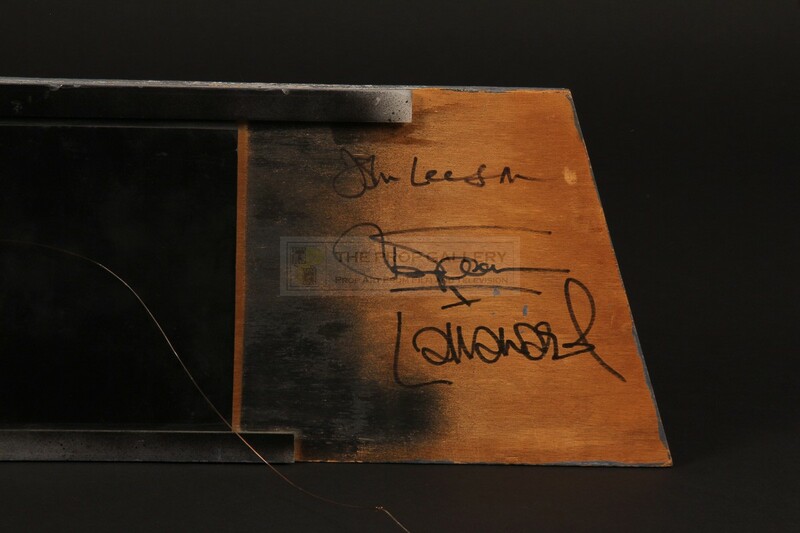 This is an original K-9 side panel used on screen in the 1979 Key to Time serial The Armageddon Factor starring Tom Baker as The Doctor for the sequence where he and Drax (Barry Jackson) are miniaturised and smuggle themselves in to The Shadow's (William Squire) lair inside K-9. 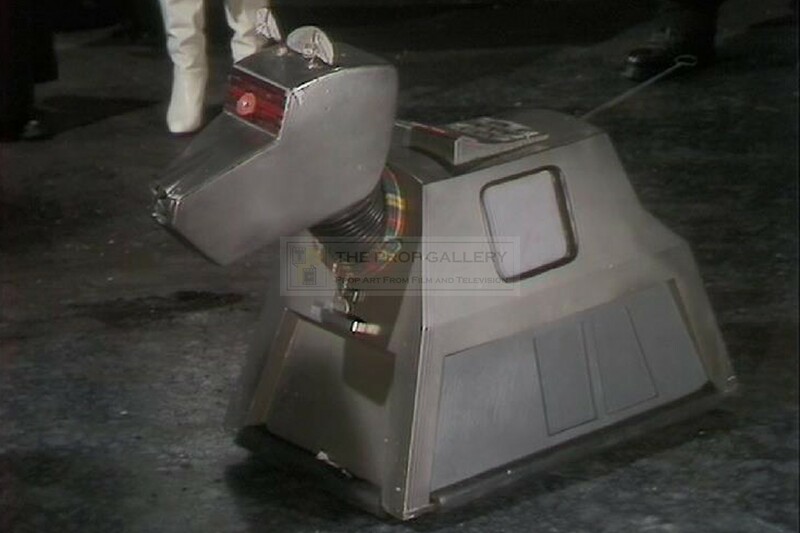 This was achieved by fitting a new side panel to the K-9 prop with an opening door which The Doctor and Drax could emerge from, the actors were filmed against bluescreen and composited using Colour Separation Overlay, a visual effects technique which was widely used on the series throughout the 1970s. 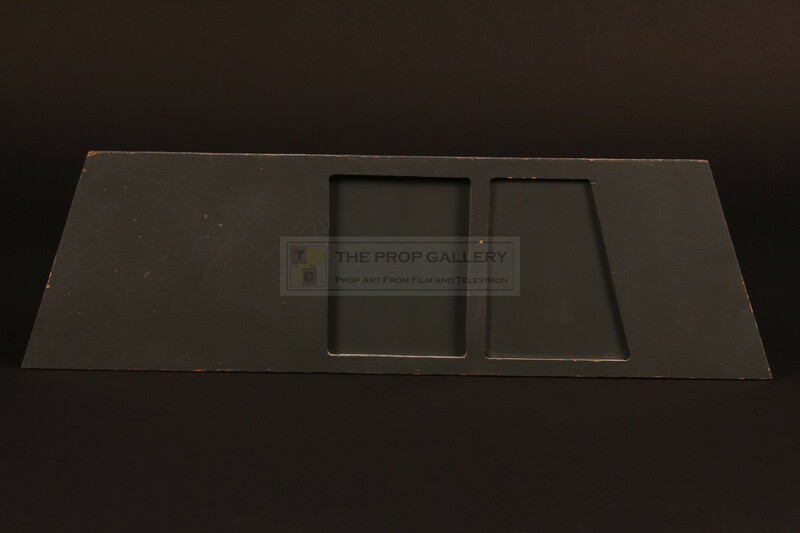 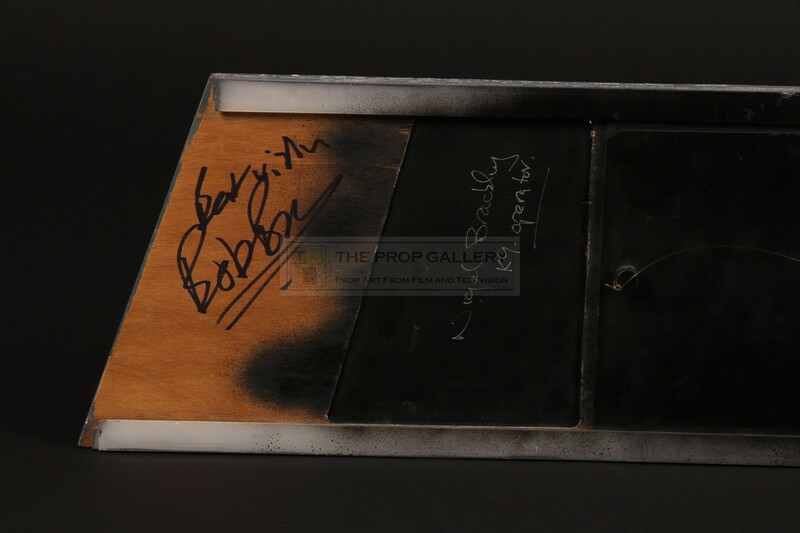 The panel was created by the BBC Visual Effects Department specifically for these scenes, constructed from plywood with a grey paint finish the panel features an acrylic door which can be opened and slides between two runners, this was operated manually by an effects technician with a piece of fishing line which remains fixed to a handle on the rear of the door. 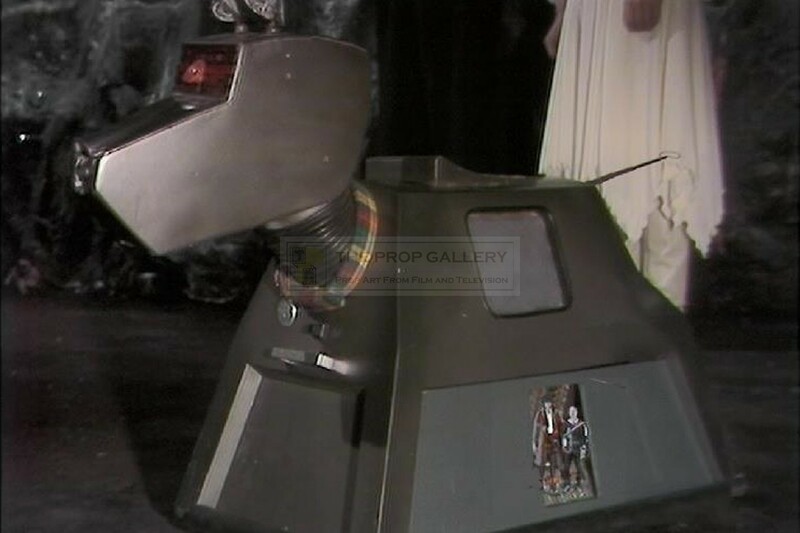 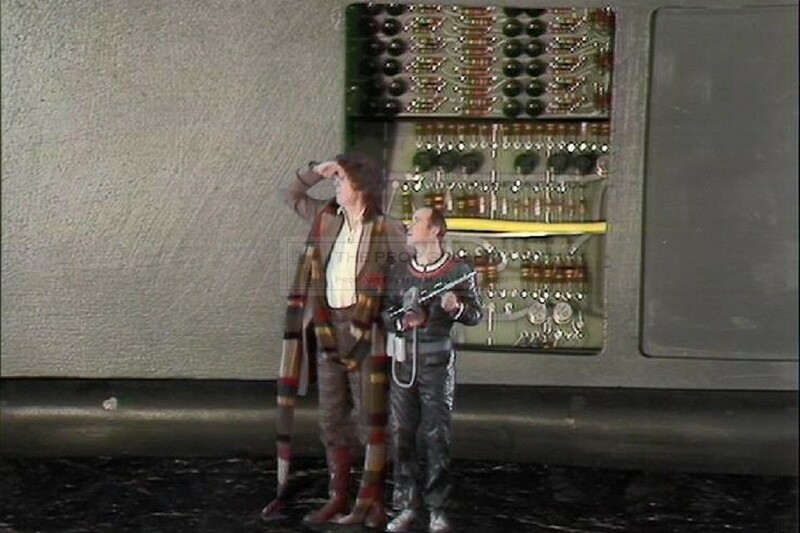 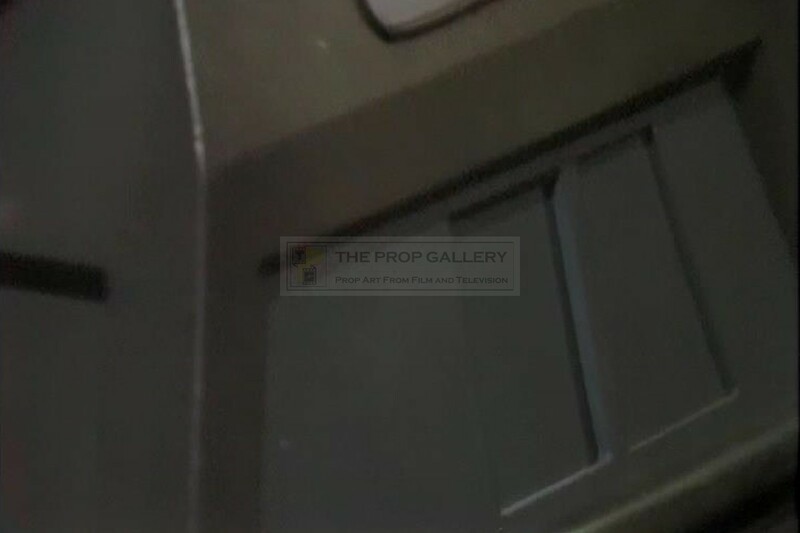 In the shot of The Doctor and Drax standing inside K-9 the fishing line can clearly be seen on screen, also noticeable is the shade of the grey paint finish which differs markedly from the rest of the K-9 prop and there are various markings which mean this unique panel can be conclusively matched to the one on screen. 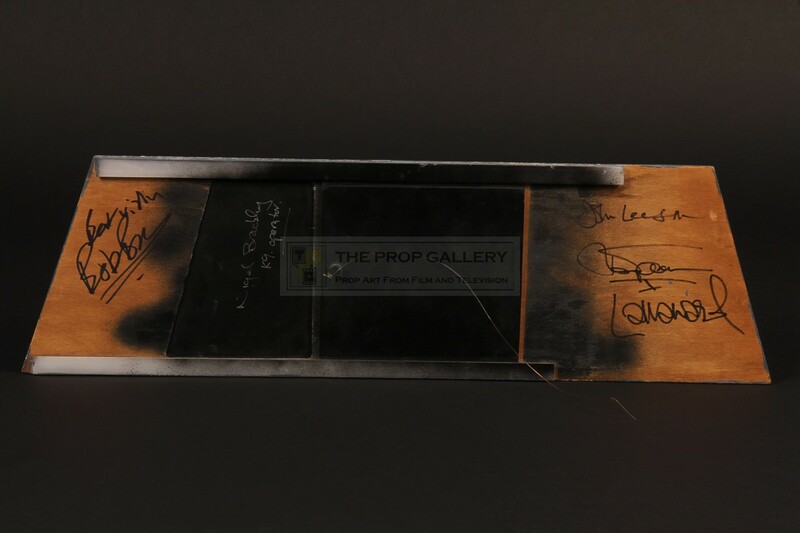 To the verso the prop has been signed by five people involved with the serial, each of these are hand inscribed in marker pen. 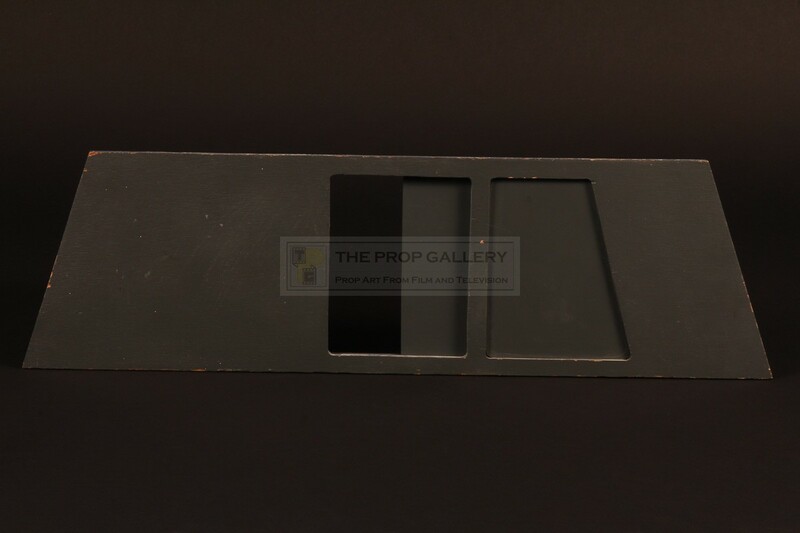 The panel measures 25.25" at its widest point and stands approximately 7.5" high, it remains in excellent screen used condition with only minor edge and paint wear, overall very fine. 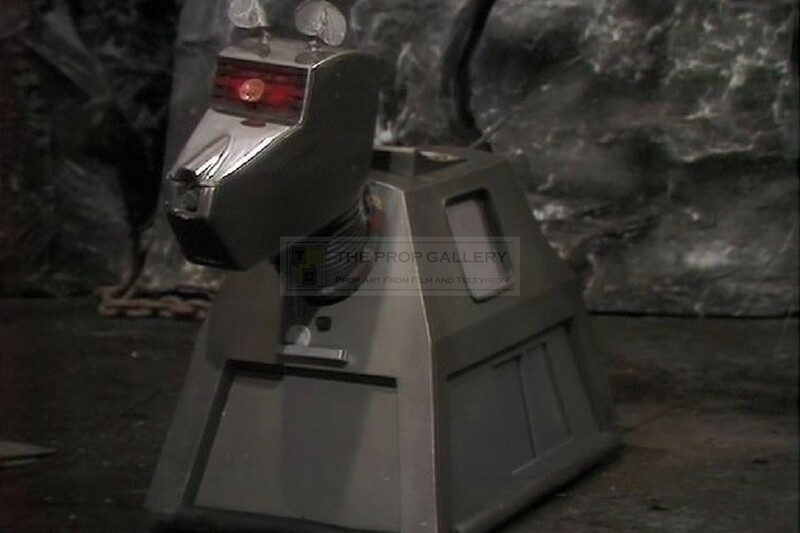 This represents a highly displayable and incredibly rare K-9 artefact from this classic science fiction series.